MacGregor Folding Soccer Goals, Mitre Folding Soccer Goal Recalled For Strangulation Hazard. Tim Twellman is a retired American soccer player, longtime youth soccer coach, and the the father of three elite soccer players, including former New England Revolution striker Taylor Twellman. Since 1985, he has run Twellman Soccer, which includes camps, trainings and clinics. In 2007, he became the head coach of the Villa Duchesne High School in St. Louis. For more on Tim Twellman, click here. For a listing of soccer resources, including links to soccer websites, click here. Soccer, also known as football in many countries, is widely considered to be the most popular sport in the world. 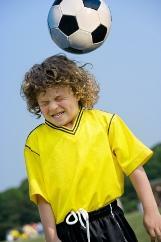 Soccer is a fast-paced, energetic game that requires speed and agility. It is the most popular recreational sport for both boys and girls. Our goal is to provide comprehensive information on soccer: advice on the equipment needed and how to buy it, a primer on the rules of the sport, and videos and advice from experts, parents, and manufacturers of soccer gear. But to do that, we are going to need your help. If you are parent of a child who plays or has played soccer, we hope you will share what you have learned with other MomsTeam parents. Please consider writing a blog, contributing an article, posting on and/or hosting a Forum, or becoming our soccer expert. If you know of someone who used to play or coach soccer who has knowledge to share, ask him or her to join. Together we can make MomsTeam a true community of sports parents!